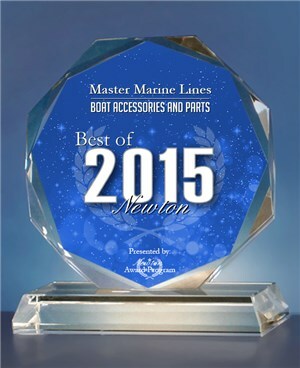 else, the great customer service will keep me coming back to Master Marine Lines. I was struggling to find a good mooring pendant solution for my 36 foot sailboat. My worries were over once I discussed my plans with John, from Master Marine Lines. He came up with a great idea at a reasonable price. The mooring lines, made by Custom Cordage, arrived at my home ahead of schedule. The quality and craftsmanship of the lines was truly excellent. I could not be happier with the service and product I received from Master Marine Lines and will certainly be a repeat customer. Yes and in use. Perfect as always. I”ll make sure to tell my boating friends all about your company. Owners note - The "perfect as always" comment is a reference to this customer being a repeat buyer. both ends to use as the last leg of a sea anchor rig for my 33' sportfish. Nobody sells this off the shelf. I found Master Marine Lines to be the only company to supply this custom rope at a reasonable price. John Domaracki was great to work with on the order and it shipped fast and was delivered on-schedule. I was very pleased with the quality of the line and the whipping at the base of the thimbles. I will do business with Master Marine Lines again! John, hope this helps. Look forward to doing business with you again. I recently purchased my first boat and had to get her outfitted with the necessities. While searching the internet I came across the Master Marine Lines website. I conversed with John over email, and within a day my order was placed. John asked me what kind of boat I purchased, where I'll be boating, and what type of boating I'll be doing. Based on the information I provided he recommended the lines I'd need. Ten days later my new custom lines (dock, spring, anchor, and fender) arrived. The ropes are top quality, the splices and whipping appear to be top notch. Awesome transaction. I'll be back.